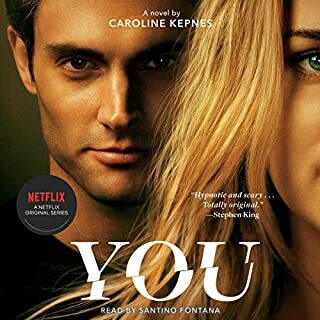 In the compulsively listenable follow-up to her widely acclaimed debut novel, You, Caroline Kepnes weaves a tale that Booklist calls "the love child of Holden Caulfield and Patrick Bateman". Joe Goldberg is no stranger to hiding bodies. In the past 10 years, this 30-something has buried four of them, collateral damage in his quest for love. Now he's heading west to Los Angeles, the city of second chances, determined to put his past behind him. At the start of this book, I had a lot of second thoughts, along the lines of "Why did I DO it? Why did I buy this sequel to a book that needed no sequel, and never should have HAD a sequel?" But only one hour in, just as in "You," I was completely hooked. Yes, it's sick, twisted, sexually explicit and violent, but that's because the reader is inside the head of a crazily smart, wickedly self-rationalizing serial killer. How could it be anything else? 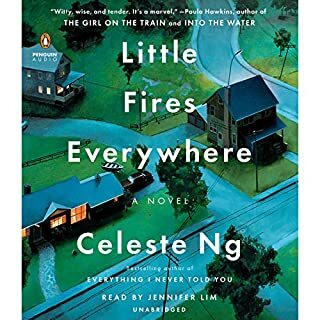 Let's just say that if you loved "You," you'll love (or at least become temporarily infatuated with) this book, but if you DISLIKED "You," you're making a HUGE MISTAKE. Turn back now, before it's too late. This book is everything "You" is, only MORE so. More of EVERYTHING. Along with even more laugh out loud moments and more wicked surprises. Once again, many thanks to Audible and to Santino Fontana for the out-of-this-world, note-perfect narration. How does he DO it? He must absolutely spend WEEKS rehearsing to become this character. Highly recommended--but for mature, unshockable audiences only. 132 sur 142 personne(s) ont trouvé cet avis utile. I want Caroline Kepnes for my new best friend! Okay, I'm really beginning to worry about myself. I WANT a serial killer to evade the justice system. Joe's character works because he has many of the same thoughts about everyday life situations that we all do. The irritations of the idiots you meet everyday, but his thoughts are hilarious. Joe only works with the performance of Santino Fontana. His performance is perfection! If you can stand four letter words (an abundance of them, c-word included), and what to get into the charming mind of a serial killer, this is your book. Be sure to buy the 1st book before this one. It will set the stage. To my new BFF-Tell me more about Joe's childhood. 'You' was enthralling. 'You' was suspenseful, 'You' was a guilty pleasure. Hidden Bodies -- not so much. I wanted so, so badly to love it, just as I loved its predessecor. Hidden Bodies is not terrible (unless you're offended easily, and if so, steer clear!!!). It is not terrible, but it is all over the place--literally--and should probably have been half its length. Thank goodness for Fontana!!! He saves the day on this one, and kept me interested enough to keep listening. I think this book would have been unbearable to read on paper with SO. MUCH. RAMBLING. There are so many comments meant to sound satarical, but really just sound like a girl whining about other girls. Like I said, Fontana really saved so many passages with his tone and sarcasm. The character of Joe begins to feel more and more like a judgy girl throughout this book, and no longer the interesting and intelligent killer we weirdly love. Speaking of love, can I say how much I hate that there is a character named Love? All in all, if you loved You, give Hidden Bodies a chance. It's NOT terrible. If you didn't really care for You, definitely don't bother with this one. This book was even better than the first book, You. The author makes the reader actually root for a psychopath. As for the other negative comments about bad language and garbage..... This book is about a serial killer, right? You know that going in. Joe is your average likable guy, who just happens to be a killer. Santino Fontana is perfection as a narrator. His voice flows like satin. Bravo! Can't wait to follow Joe's next adventure! It felt like I waited forever for this book to be released. I absolutely loved "You", and Hidden Bodies didn't disappoint. Definitely worth a credit. 27 sur 35 personne(s) ont trouvé cet avis utile. please please write a third! 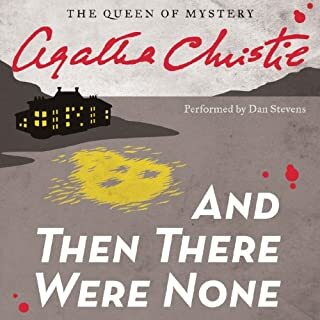 Where does Hidden Bodies rank among all the audiobooks you’ve listened to so far? It's an excellent book -- I hope a series, is that kinda messed up? Well, the narrator has a voice like butter. He kinda makes you root for Joe. No particular scene is a favorite. There were several moments I laughed out loud. I pre-ordered Hidden Bodies because I could not wait to get back inside Joe Goldberg's head. I even counted down the days and woke up early to check my library for the download. I was giddy on the excitement. I think I flew too close to the sun. This Joe is not my Joe. This Joe sounds like my Joe (Santino Fontana is incredible!) but the Joe in "Hidden Bodies" is mean and shallow. The Joe in "You" was misunderstood and insightful. I know I'll be in the minority with this review but Caroline Kepnes made us empathize and root for a serial killer in "You." In "Hidden Bodies", you just want to cringe and report him to the nearest authority. A Dissapointing Follow-Up to "You"
Ugh, why did the author have to go and ruin a perfectly good character and story?! Disappointed in the direction the narrator chose to go. What was most disappointing about Caroline Kepnes’s story? "You" was fantastic. It was the kind of book that needs no sequel. I thought it ended brilliantly. However, being that I loved "You," I was very excited for Hidden Bodies. But things start to get sloppy in the narration and plot. Details that Caroline got away with in the first book become very unrealistic after constant coincidental happenings and killings that just magically seem to happen. Joe is able to kill and hide his crime scenes with just too much ease. There isn't enough detail to how he covers his tracks, and it just gets so unbelievable time after time. It eventually starts to repeatedly sound like "oh I pulled her hair and she died, and then dragged the body out to sea." That's about the extent of the detail of the crime and how he covers his tracks. It just becomes SOOO unrealistic. I think Caroline got away with this sloppiness in "You" because the plot and obsession with Beck drove the storyline forward, and there hadn't been much repetition of these crime scenes. At the end I was WISHING that Joe would get caught and thrown and jail forever. Like, COME ON. No one can just murder 5+ people without getting followed-up after he essentially doesn't cover his tracks much at all. Also, what kind of girl would just not care that her boyfriend is a serial killer and killed two of his previous girlfriends?! EXTREMELY unrealistic and really tarnished my opinion of Love. The way she responds to his explanation doesn't even make sense. He tells her he's a serial killer and she just responds with a story about how Forty and their dog? That makes NO sense. I just didn't feel there was a good plot or any good suspense in this book. "You" was so engaging and was driven forward by the Beck obsession. In Hidden Bodies, I felt the author just grasping for plot lines and repeating Joe's same old antics but in a sloppy and unrealistic way. Very disappointing follow up. My advaice would be if you want to wright a serial killer novel, and actually include realistic details about him covering his tracks and avoiding authorities. He would have SURELY been interrogated by police at some point...and not the same two police charatcers that he happened to have met before by chance. Too many unbeleivable coincidences in this book. The Robin Fincher, Henderson, and Delilah characters/ side plots were pointless and boring. He's an amazing narrator...however, Forty's voice was very annoying. Just listen to "You" and don't listen to this book. "You" ended perfectly. It did not need a sequel. Joe is a great character so I can see why the author wanted to continue to use him. However, that was an itch that should have remained unscratched. I hope Joe finally gets thrown in jail after so many stupid and sloppy murders. How was he never interrogated for Henderson's murder?! I'm SURE there is surveillance footage that would show him...since this is a celebrity's home. Also police have ways of tracking emails and communications etc from missing or murdered people. I'm sure they would have been able to track Joe and his IP address from any of the communications he sent to Fincher, Delilah, and he would have been followed up as a suspect. I can't just stand by assuming there is no surveillance footage, detective work, or witnesses from any of these crime scenes. Yes I have recommended it to many friends as well as "You" the first book. 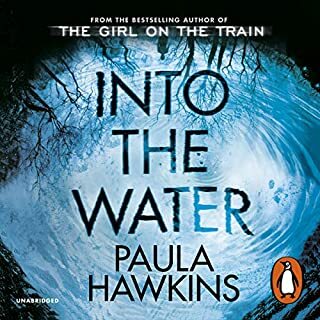 The narrator is perfect and there are so many twists and turns it's a great ride and not predictable. 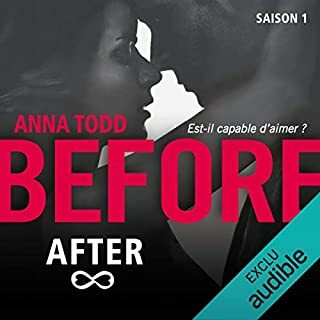 Yes I listened to him in "You" the first book and it was outstanding, he is perfect for the voice of Joe and really makes this book and "You" such a perfect listen. I really enjoy Caroline Kepnes's books so far and can't wait to read more. They are fun and twisted and not predictable, keeping you guessing. She references such great books, movies, music which makes her books even more fun. I love her writing style and Santino Fontana is the perfect narrator for these books. Hidden Bodies is the sequel to You, which should be read first. 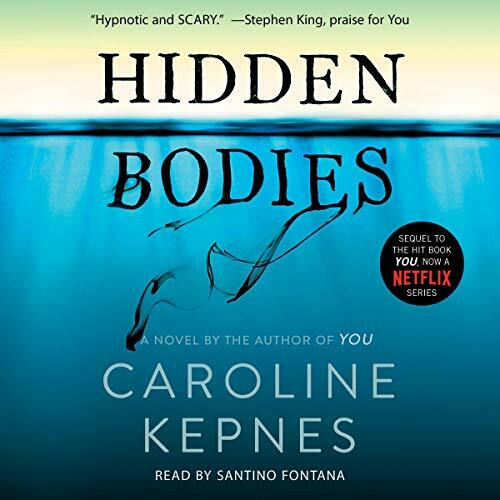 You was one of my favorite audiobooks last year, so I was super excited to listen to Hidden Bodies, but also slightly apprehensive whether Joe's return would live up to my expectations. I needn't have worried. Joe has mellowed a bit, in my opinion, but his lookout on the world is still as entertaining as ever. "Humans. I will never understand." I love how his mind works (I know I shouldn't), he is a depraved serial killer after all. But he is really trying hard to fit in this time. For Love ('Love' would have been the perfect title, shame it was changed). He even joins Facebook. Some of the references to social media and popular culture were hilarious. If you didn't like You, you probably won't like this, as there is still plenty of foul language and explicit scenes that may disturb some listeners. I didn't actually find this sequel quite as dark or twisted as the first book, but I just love Joe. It'll be a long, desperate wait for book 3. 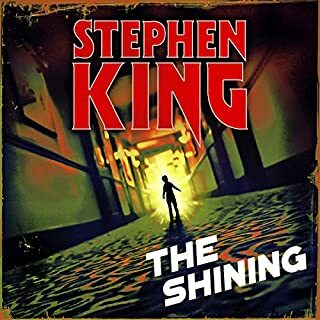 Santino Fontano narrates the audiobook and once again his performance is stellar. The way he delivers some of the one-liners and Joe's internal monologue is out of this world. Very witty, clever and highly original psychological thriller. Highly recommended.